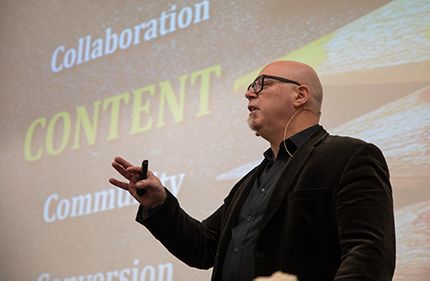 Online information overload and a lack of trust, argues social media guru Trevor Young, puts organisations like schools in a position where they can choose to put their heads in the sand, or they can get on the front foot and use social media to become relevant and trusted publishers of content to their target audiences. The ISCA AHISA Education Forum 2018 featured a session on the impact and influence of social media on school communications. It was presented by prominent social media marketer and commentator Trevor Young, along with three current/ former school Principals who have demonstrated positive outcomes from effective use of social media in their respective schools: Ms Karen Spiller OAM, Principal of John Paul College in Queensland; Mr Simon Gipson, former Principal of St Michael’s Grammar in Victoria; and Dr Briony Scott, Principal of Wenona School in New South Wales. From left to right: Mr Simon Gipson, former Principal of St Michael’s Grammar; Ms Karen Spiller OAM, Principal John Paul College; Dr Briony Scott, Principal of Wenona School; and Trevor Young, founder of Digital Citizen communications firm. Young started by looking broadly at social media in schools and the opportunities to use social and content to deepen the connection and engagement that schools can have with their communities. He noted that it was important for organisations to look beyond the “tools” of social media, which are just enablers, and focus on their “heart and spirit”, which in the case of schools is their passion for education, for the school, students, teachers and for the broader school community. He views social media as an amplifier through which schools can kick start important two-way conversations with the people who matter the most to the success of their school – the school’s community. Young then identified shifts that are having an impact on communications. The first was “noise”. He argued that it was easy to blame peoples’ lack of engagement on limited attentions spans, but the real reason is often that there is so much noise, or information overload, in our communications channels that we are subconsciously filtering most of it out. So, what schools should not be doing is adding to that noise. If they can be interesting and relevant instead, then schools can cut through that noise. Another impact on communications was the erosion of trust in organisations across the board, businesses through to political organisations and even not-for-profits. This noise and lack of trust, Young argues, puts organisations like schools in a position where they can choose to put their heads in the sand, or they can get on the front foot and use social media to become relevant and trusted publishers of content to their target audiences. Young was at pains to point out that content did not have to be “slick”, indeed being the opposite could sometimes be an advantage. What was important was that it was authentic. As Young introduced the members of the panel he examined some examples of social media activity he believed had worked well for them. 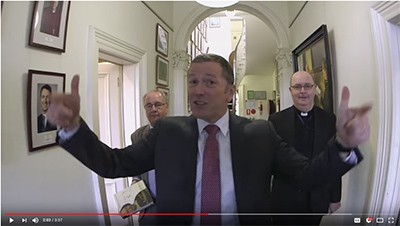 The first example he gave was a video of very basic production values from former Principal of St Michael’s Grammar Simon Gipson, who rapped in a student initiated and produced video-clip to raise awareness for a charity campaign. The video, shot in 45 minutes, went viral and even ended up on the Sunrise program. He then looked at Facebook videos from Ms Karen Spiller OAM, Principal of John Paul College. Again he highlighted their authenticity, pointing to things video producers might dislike, such as kids being noisy in the background, explaining how in this case they work as a strong asset showing the Principal not in her office but out and amongst it, especially as she is new to the school this year. 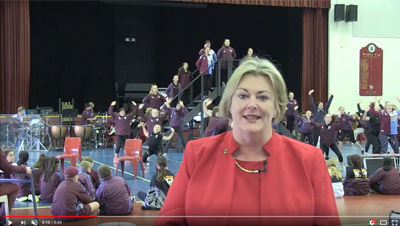 For Dr Briony Scott, Principal of Wenona School, Instagram was the school’s most important social channel, with Trevor Young highlighting two different accounts of note. The first was Dr Scott’s Principal’s account where she captures snippets of goings-on at the school and distributes is through an approved-followers account. 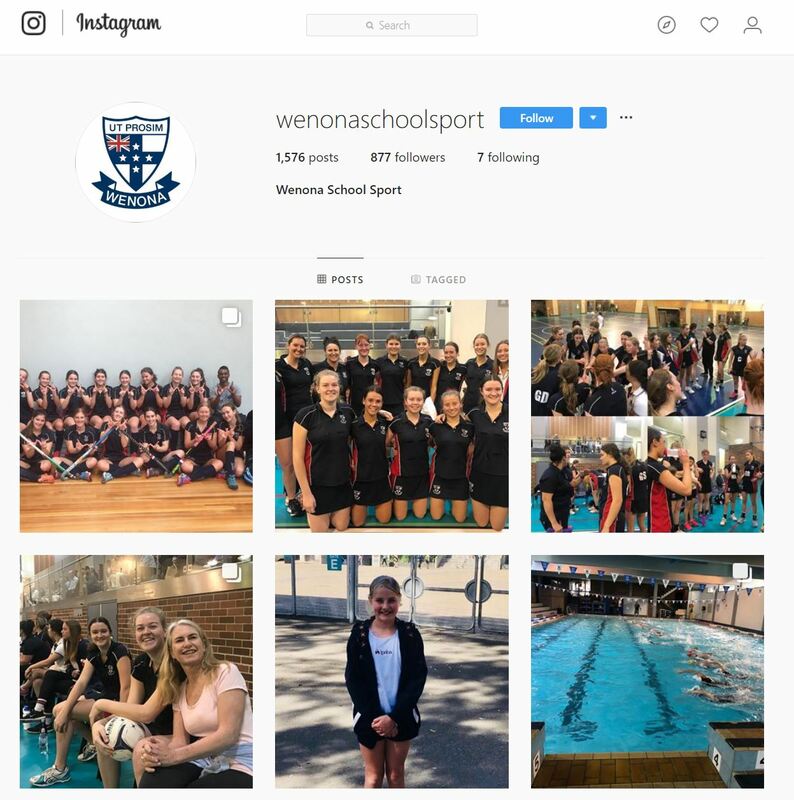 The other Wenona Instagram account Young highlighted was their sports account, which was managed by the students. He asked Dr Scott about the practicalities of how that worked. Young emphasises the significant benefit that a social and content mindset can bring to a school.